I was motivated to write this brief article when fellow candobetter blogger, TigerQuoll, mistakenly in my view, in his article "Animal abuse inculcates social deviance" repeated the accepted wisdom of the guilt of Martin Bryant, now imprisoned for the rest of his life for the murder of 35 people at Port Arthur on 28 April 1996. Over a year ago, I became aware that a number of credible people, some of whom had been directly affected by the terrible events of that day, disputed Martin Bryant's guilt and, instead, maintain that the real killer remains free. Having viewed video presentations and speeches, it seems to me that the case in favour of Martin Bryant's innocence is compelling. It is my hope that my having assembled the material here in this way will motivate people who hold Martin Bryant to be guilty to explain why they believe so. Many who are behind bars today for the crime of murder following hotly contested jury trials are most probably guilty. Examples which come to mind are Ivan Milat and Bradley John Murdoch, however others who have been convicted by jury trial for crimes have been found to be innocent. The most celebrated case, is of course, Lindy Chamberlain. In August last year I came the firm view that Schapelle Corby, is innocent of the absurd crime of having attempted to smuggle marijuana worth $35,000 in Australia into a country where it would have been worth $5,000. In spite of the overwhelming evidence of Corby's innocence, almost the whole of the Australian political establishment and newsmedia is apparently resolved to uphold the fiction of her guilt and to let her rot away in the hell of Kerobokan prison for another 15 years at the grave risk of her losing her sanity, if not her life. That they can be nearly unanimously wrong on this issue is cause to open our minds to the possibility that they might have also got it wrong in regard to Martin Bryant. Newspaper coverage immediately after the massacre raised serious questions about journalistic practices. 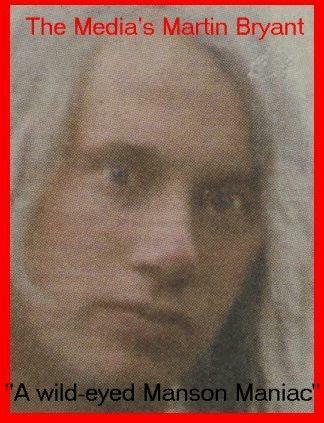 Photographs of Martin Bryant had been digitally manipulated with the effect of making Bryant appear deranged. There were also questions as to how the photographs had been obtained. The Tasmanian Director of Public Prosecutions warned the media that the reporting compromised a fair trial and writs were issued against the Hobart Mercury (which used Bryant's picture under the headline "This is the man"), The Australian, The Age and the Australian Broadcasting Corporation over their coverage. the Sunday Telegraph to make him appear crazy. As alluded to in the title of Andrew MacGregor's 10 minute talk "Aussie 9/11 'Port Arthur massacre'" the Port Arthur massacre in many ways fulfilled a similar role in Australian politics that the 9/11 false flag terrorist attack fulfilled in US politics. It caused much of the Australian population to view Prime Minister John Howard as some kind of benevolent caring father figure, rather than the leader of the malevolent, socially divisive government that he was. Strikingly, most of the supposed 'bleeding heart' small 'l' liberal chattering classes almost instantly forgave Howard for his vicious spending cutbacks because of his alleged 'courage' in introducing gun control to ostensibly prevent further Port Arthur massacres. This largely helped to derail effective political resistance to the Howard Government for much of the ensuing decade. It would be interesting to know if, when in 1998, the Howard Government unleashed mercenaries and Rottweilers on Australia's waterfront workforce in its ultimately unsuccessful attempt to destroy the Maritime Union of Australia, or when, in 2003, John Howard sent our armed forces to participate in the illegal invasion of Iraq on the pretext of the lie of Weapons of Mass Destruction, those members of the chattering classes ever contemplated their pronouncements of John Howard's sincerity in his professed abhorrence of violence back in 1996. I will include below, some links to resources about the Port Arthur massacre, mostly against the official account, but some for. Suddenly One Sunday of (undated) on by Patrick Bellamy on trutv.com. This is an article which accepts the official account of the Port Arthur. The article also includes three other pages: 2, 3 & 4. The Port Arthur massacre conspiracy of (undated) by Joe Viallis2. Port Arthur killer like a zombie: mum of 28 Mar 06 on Nine MSN News, Mother Carleen accuses Martin Bryant authors by Matthew Denholm and Matthew Clayfield in the Australian of 6 May 09. Sour Dealings on ABC TV's Media Watch of 18 May 09 about complaints by Carleen Bryant against the authors of Martin Bryant, Born or Bred. Video broadacasts are, in my own experience, the fastest way to gain an initial understanding of a complex issue, although they are no replacement for a well-written and well sourced textual article. I recommend that readers begin by viewing the 10 minute video "Aussie 9/11 'Port Arthur massacre'" of former policeman Andrew McGregor putting the case for Martin Bryant's innocence. If that sparks your interest, then please proceed to watch the subsequent videos of longer and more in-depth presentations, "Port Arthur massacre - Martin Bryant set up, part 1 of 2" (59') and "Port Arthur massacre - Martin Bryant set up, part 1 of 2" (98'). There is a 10' "conspiracy theory debunking" style video with the misleading title "Port Arthur massacre - Martin Bryant set up, part 3". The last two are two 10' videos of straight Channel 7 news reporting of the time, "Port Arthur massacre part 1 of 2" and "Port Arthur massacre part 2 of 2". "Aussie 9/11 'Port Arthur massacre'" (10') featuring former policeman Andrew McGregor. View original video at www.youtube.com/watch?v=pj7oveOuOvkhere. "Port Arthur massacre - Martin Bryant set up, part 1 of 2" (59'). Original at www.youtube.com/watch?v=UdYxtultxZU. "Port Arthur massacre - Martin Bryant set up, part 2 of 2" (98'). Original at www.youtube.com/watch?v=gK9qD87yUag. 1. ↑ Although Nexus magazine has printed material that I consider unscientific, such about UFO's or the Hollow Earth Theory, so too does the mainstream media every day of the week when they uphold the fictions of free market economic theory, that population growth is beneficial or or the Official account of 9/11. Nexus does publish quality articles about issues that the mainstream media will not cover. 2. ↑, 3. ↑, 4. ↑ Joe Viallis died in 2005. A web-site containing other articles by Joe Viallis can be found here. Whilst I have to reserve judgement on some of the other articles he has written, his treatment of the Port Arthur Massacre, from my having skimmed over the article, seems sound. In Response to: Was Martin Bryant Framed? Sheila asked me if I could remember anything about the case or whether I might have some information. Suddenly One Sunday of (undated) on by Patrick Bellamy on trutv.com. bears the closest resemblance to what I remember reading, although the chronological episodes of his father's death and that of the wealthy woman friend, were represented in a different light. Thanks for this response, AP. Part of the problem is that the monstrousness of this crime is precisely what prevents many people from rationally considering the evidence, for even to do so, one risks being judged as excusing the crime. The evidence directly implicating Martin Bryant is non-existent, so, instead the case against Bryant (which was never formally put becaus there was no trial) largely centres on supposed facts that make him and people he was acquainted with appear capable of committing the crime or at least being very bizarre. The tragic consequences of [Martin Bryant's relationship with 54-year-old heiress Helen Mary Elizabeth Harvey], however, began early. As the friendship moved from employer-employee to friends and then constant companions, Helen's mother Hilza was left increasingly alone inside what was fast becoming a filthy hellhole. She had been moved downstairs into the kitchen at some stage, and it was here that the old woman was forced to sleep, upright in a chair, writhing and wriggling in a bid to gain relief from an undiagnosed and untreated broken hip for most of the last two years of her life. SEVENTY-nine-year-old Hilza Harvey was an abject horror of neglect, sitting untended with her broken hip and withering slowly in the kitchen on her chair. As horrified as they were, the ambulance officers cast no judgment on the situation. Hilza's deterioration was rapid. After several weeks in hospital, she was moved to a nursing home where she died at the end of July. The RSPCA took away most of the animals while Helen recovered in hospital. A clean-up order was also placed on the house, and Maurice Bryant took it upon himself to take long-service leave and attempt to coordinate the job with his son. It took three months to scrape the filth from the floors, walls and surfaces of almost every room. A dozen skips were filled with rubbish while Helen's entire wardrobe had to be thrown away. On the face of it, these facts present Helen Mary Elizabeth Harvey, and, possibly, indirectly, Martin Bryant, in a bad light, if we forget his IQ of 66. Whether this is true or some facts have been omitted, or whether it was the result of a misunderstanding rather than conscious cruelty on Harvey's part, I can't say, but this is an example of the kind of information which causes many to conclude that Bryant must have been guilty in the absence of any direct evidence of his guilt. Cover up, cover up, cover up. This case stinks!!! I've read so much on this case and the more I read the more ill I feel. Whoever killed those innocent people in 1996 walks amongst us. More Australians need to know what really happened that terrible day. And stop blaming it on a mentally disabled person. I totally agree and have stated this for the last 10 years or so. I also think and believe that the twin towers story and fabrication is also in the same political league, both these cases have huge holes in them and when you really look the holes get so much bigger that it becomes a fairytale story written for adults, the book you find them in is How to Brainwash the Public by a Government Cover-up. I think its strange how we never saw a recent photo of Bryant at the time of the shootings, all photo's released were some 8 years old. For a guy who had only had very limited use of an air rifle prior to the massacre, he did an amazing job to so efficiently kill moving targets at a ratio of 2 dead to 1 injured with high powered inaccurate weapons. A cover up for sure & only Government officials & high ranking police officers will ever know the real truth. Shame. All I can say is that while viewing the TV at the time of the massacre and during the siege, I think it was a direct telecast. I heard distinct rifle shots that went like this: bang---bang---bang-bang---bang. Being an army person those shots were fired in a split second, and that could only be fired in such precision by a trained person. Interesting to note that the recording was never seen or heard again. Secondly, there was so much devastation conducted in the cafe in such a short time that once again could only be the handiwork of a trained person. And a person with an IQ of 66 couldn't be a trained person. Thanks, James, for compiling the resources here on Martin Bryant, including my own three-parter. Judging by the emails I receive, the articles continue to be widely read. I am not aware of any attempts to debunk them. I also agree totally re Schapelle Corby's innocence. Firstly, thank you, as well as for all of your sharp, humorous and highly reasoned articles about global geopolitics and other issues of recent years. As you are probably aware, I have taken the liberty of republishing at least one of your articles, Terronoia Theater Presents: Staged ISIS Attacks (18/9/14) on our web-site candobetter.net. That article warns that Australian authorities may be about to stage a version of Operation Northwoods in order to stifle public opposition to its plans to wage war against Iraq and Syria, and possibly even worse (an outcome similar to what happened in Germany in 1933 as a result of the Reichstag Fire?). Just hopefully, as a result of your whistleblowing, the principled stands taken by some Federal politicians and the still free Internet, the would-be terrorists will judge that they won't be able to fool the Australian public this time and call off their plans. This letter is to advise you that (besides the Bali massacre of 2002) Australia has already suffered a false flag attack: The Port Arthur Massacre of 28 April 1996 in which 35 Australians were murdered. Martin Bryant, who had the IQ of an 11 year boy old boy, was fraudulently accused of having committed the murders. He was sent to prison for the rest of his life without even having a trial. His life today is misery and he could well die soon. 1. Prime Minister John Howard, who, in 2003, took this country into an illegal war of aggression against Iraq, professed to abhor violence and passed legislation which drastically reduced the right of ordinary people to own fire-arms. 2. The public approval of John Howard, which was then plummeting as a result of his broken election promise not to slash and burn public services, lifted enough to enable him to scrape back into office in the 1998 Federal elections. 2. Please promote my article by linking to it and/or republishing it (I can give you the HTML file). 3. Promote Keith Noble's book. Download it and read it, when you can find the time.